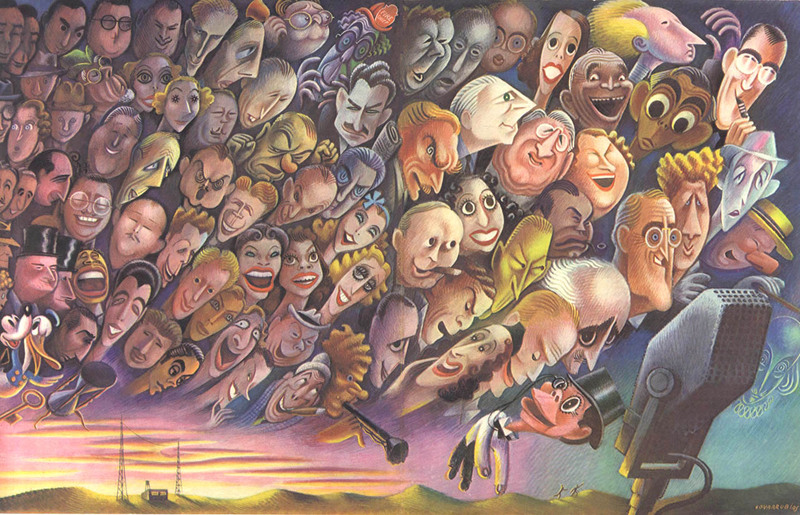 Mexican illustrator Miguel Covarrubias (1904-1957) did this panorama of 1930s network radio personalities for the May 1938 issue of Fortune. 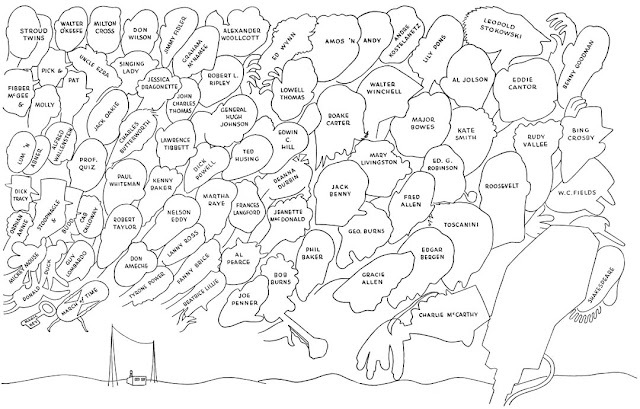 It's another in the Potrzebie series of images with key outline identification maps, joining our previous image maps of Galaxy Science Fiction authors, Superman vs. Ali and DC's Cosmic Teams trading cards. 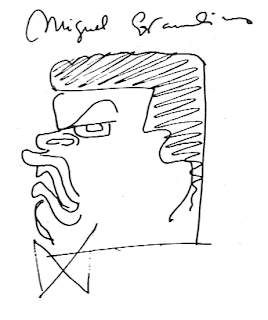 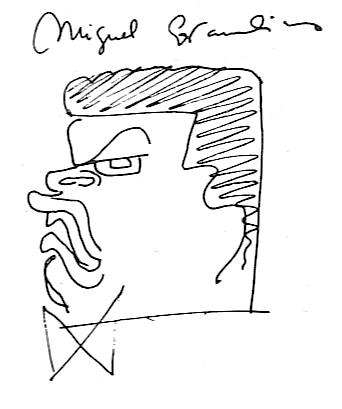 At bottom is Covarrubias' caricature of himself.